Conservation area woes – now you can have the best of both worlds with our Residence 9 windows! A conservation area is an area of specific architectural or historical interest, the character or appearance of which is desirable to preserve or enhance. Many towns and villages rely on historic windows for much of their architectural impact and character and inappropriate, poor quality replacement windows can easily erode traditional features on historic buildings. Article 4, as it is known, is when a planning authority applies to restrict development rights in a conservation area and replacement windows will then need to be approved by planning. Some planning authorities precluded the use of modern materials because the window designs were considered inappropriate in size, shape and design. However with the recent introduction of new profiles that are designed to resemble traditional wood, some authorities have now adopted a more modern approach and will approve the use of specific profiles because of their consideration of the Article 4 directives. Residence 9 has been specifically designed to replicate the documented historical window designs from the period. Looks like wood – Residence 9 Window showing authentic looking ovolo/putty Georgian bars, flush sashes and 45 degree “timber effect” welds. The design brief for Residence 9 was to extract the key principles, shapes and dimensions from the Article 4 Conservation Area guidelines for windows and integrate market leading technology into the design using virtually maintenance free materials. Residence 9 is thermally and acoustically brilliant. It features the latest security, maintenance and performance innovations, whilst appearing completely traditional. Your windows won’t warp, swell, flake or need sanding and painting. Residence 9 has nine chambers and is 100mm wide, resulting in superior thermal, acoustic, strength and security performance. Can accommodate 44mm triple glazing and 28mm double glazing. Attains U-values of 0.8 with triple glazing, PassivHaus Standard, and 1.2 with double glazing, far surpassing the British Building Regulation requirements. All of this contributes to lower energy bills, keeping you cosy in the winter and cool in the summer. Interior view of a Residence 9 window clearly demonstrates the authentic timber styling and feature monkey tail handles. 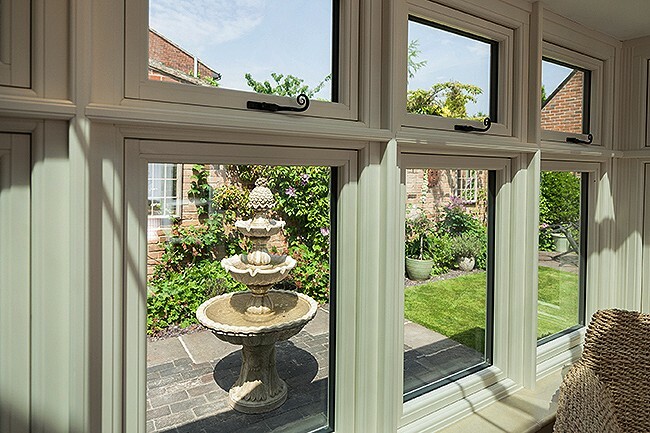 Residence 9 windows are not only stylish, they will withstand the test of time too. They include state of the art design features and champion British craftsmanship using time honoured traditions and modern manufacturing processes. 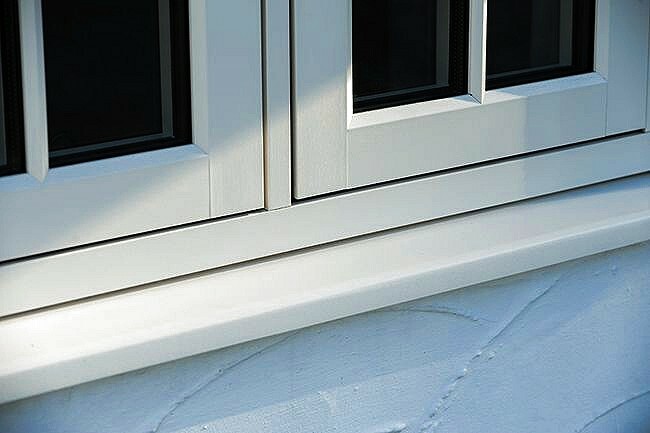 With a range of splendid styles and configurations, Residence 9 allows you to create an individual design statement for your home – choose from a vast colour palette and a series of decorative options such as peg stays, authentic looking Georgian bars and weather bars to truly personalise your windows. The devil is in the detail – these small but very important design features create an authentic looking window beyond comparison. Download our latest Residence 9 brochure from our website here or give us a call and have a chat with John about how Residence 9 could work for you. We hope to see you soon!